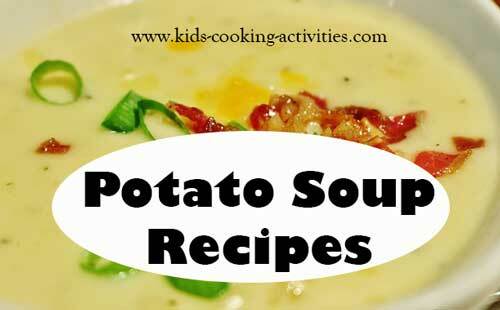 These easy potato soup recipes are great served with cheese bread or garlic bread. Another fun idea is to serve soup in bread bowls. 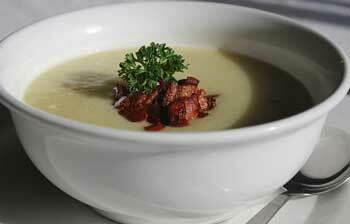 These recipes will teach you how to make potato soup. Cut vegetables into slices or cubes. In soup pan, place potatoes, onion, carrot, celery and cauliflower. Add water to cover up vegetables. Cook and simmer on medium until vegetables are tender. Add half of soup mixture into blender. Add bouillon and milk to blender also. Puree several seconds. Add back to saucepan and stir together. 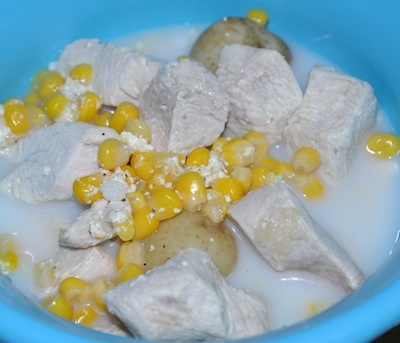 In crock pot add potatoes, onion, chicken broth and cream chicken soup. Stir together until well blended. Season with pepper. Cook 6-8 hours on low. Before serving stir in cream cheese. Garnish with chopped bacon or shredded cheese. Adding a little chicken to this or any easy potato soup recipes changes it up a bit. In a soup pan, saute onion in the oil. Then add potatoes. Saute several minutes until potatoes brown. In a measuring cup add flour, bouillon and milk. Blend together. Stir into potato mixture. Add water, chicken and corn. Stir together. Season with pepper, as desired. Bake about 10 minutes until thickens and potatoes are tender. 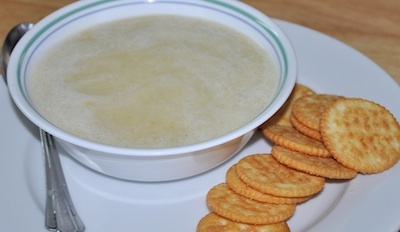 In a large soup pot, melt butter and add diced potatoes, grated onions and chopped celery. Saute until potatoes are browned. Season with salt and pepper. Add water to cover potatoes and add bay leaf. Simmer until potatoes are tender. Add milk and serve. Sprinkle with shredded cheese.